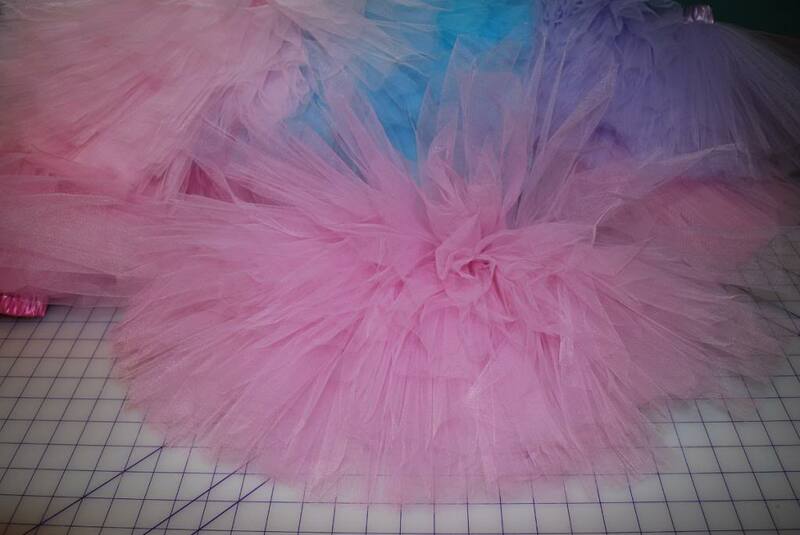 Making this tutu is mostly tulle taming, and very little actual sewing. 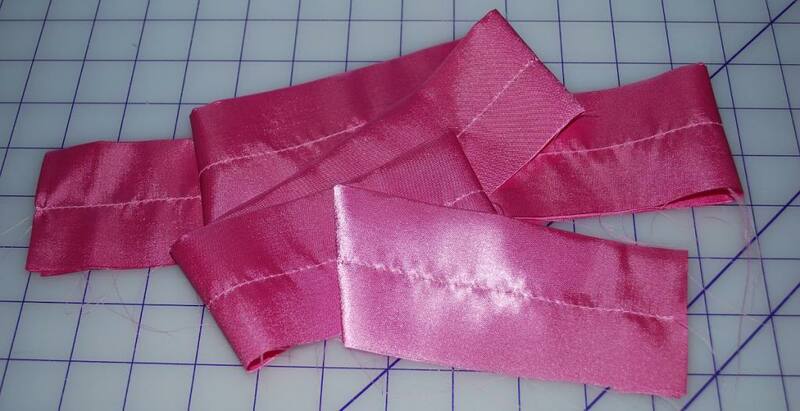 You only have to sew 6 straight lines and that’s about it. Really. 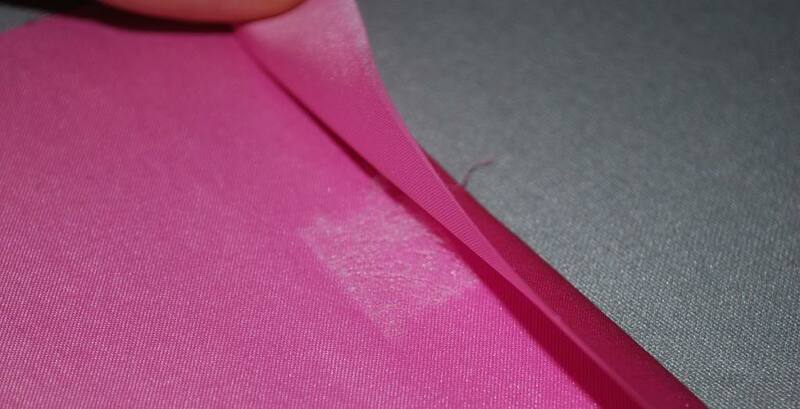 Less than 10 minutes using the actual machines, not kidding. 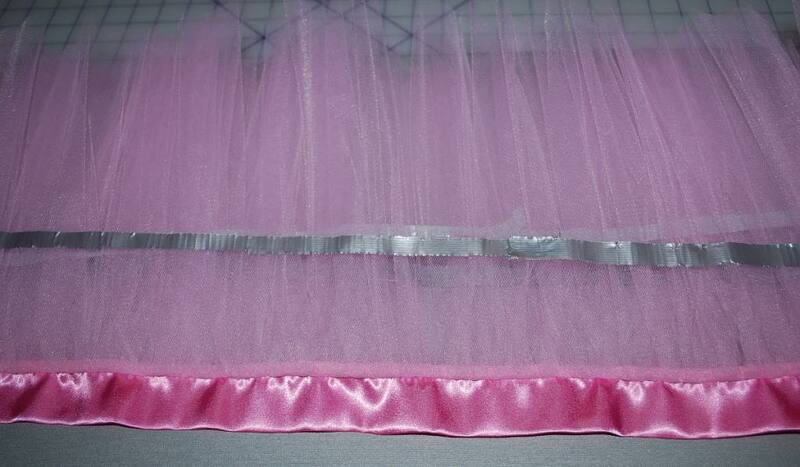 The rest of the time you are forcing that tulle to behave so it will slide through the machines nice and smooth without any frustration at all. 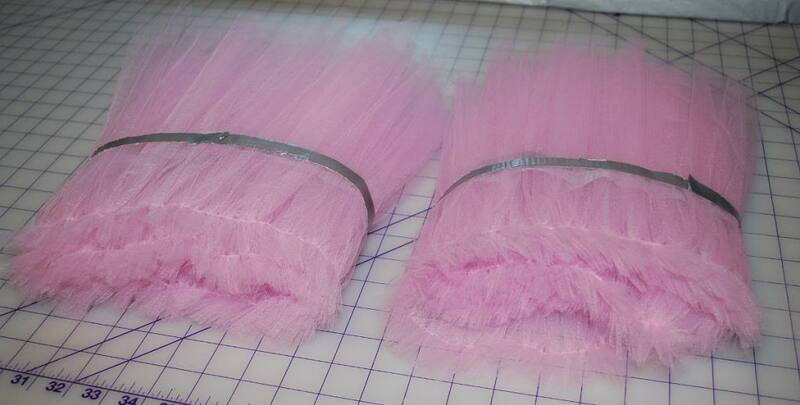 Tulle can be tamed, and it can be very pleasant to work with. 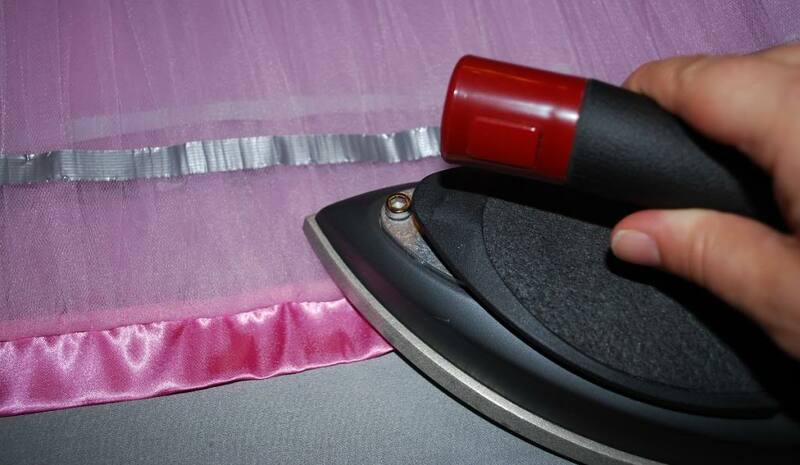 If you have the right tools for the job, tutu making is a piece of cake. 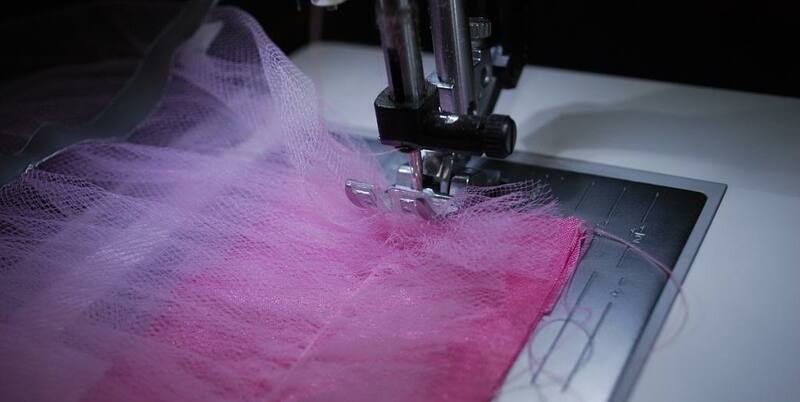 There are a lot of little steps, but they are quickly achieved. 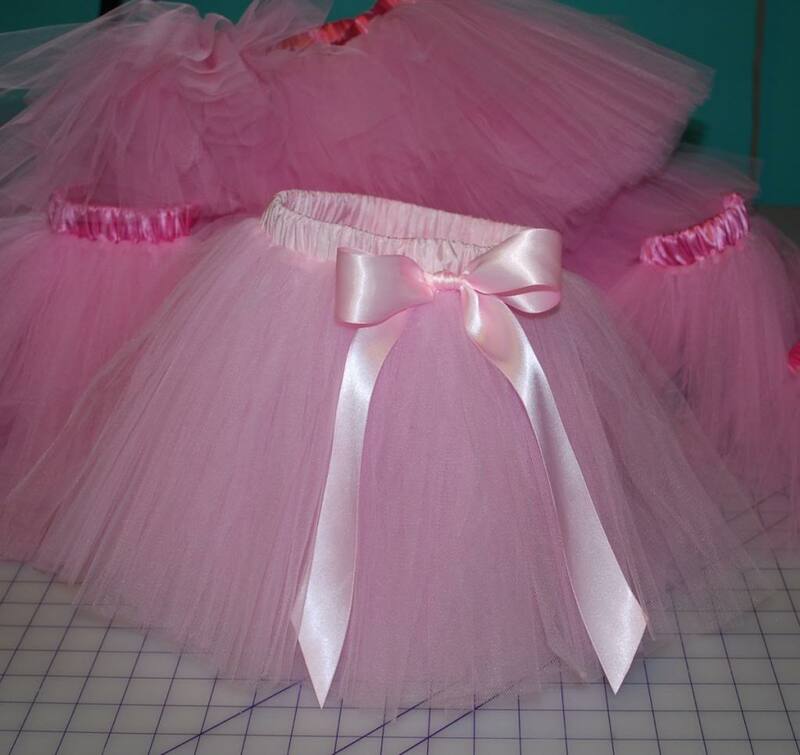 I can make one of these tutus in about 30 minutes when I’m on a roll. 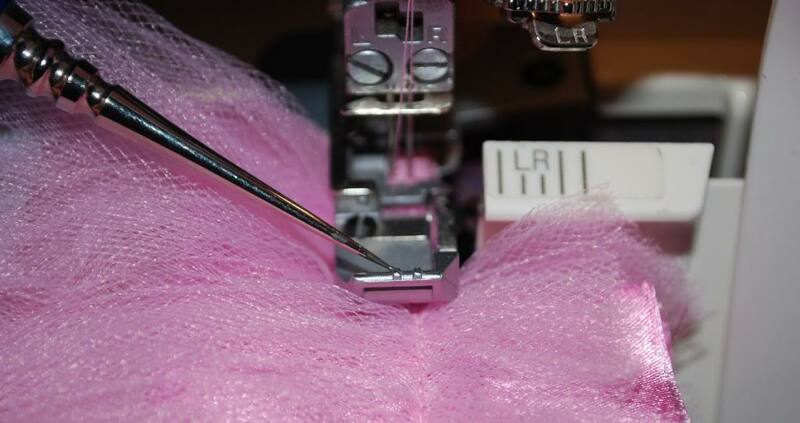 *The amounts needed depends on the size and length you want to make! 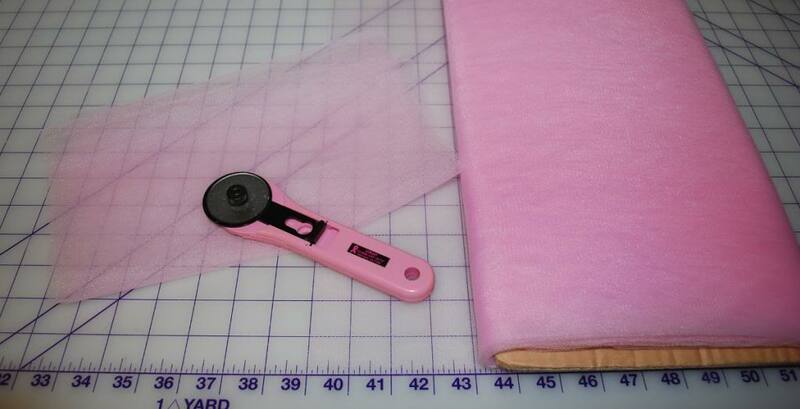 I note the amounts I’m using for a general kid sized one with the photos below. 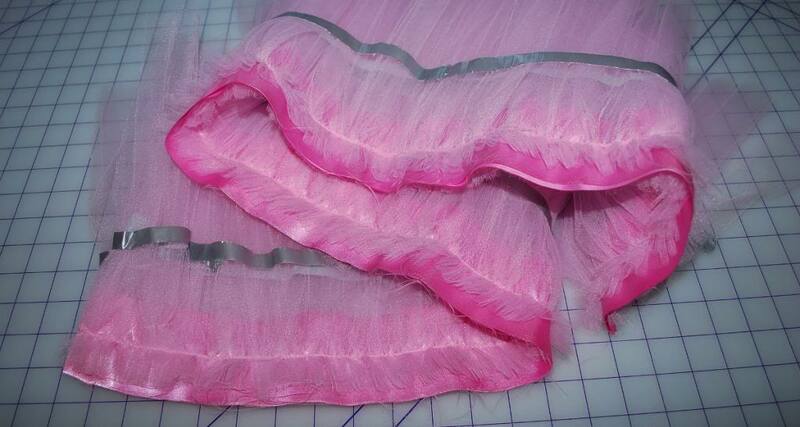 I now have two 48 inch ruffles with seven sections each. Voila. 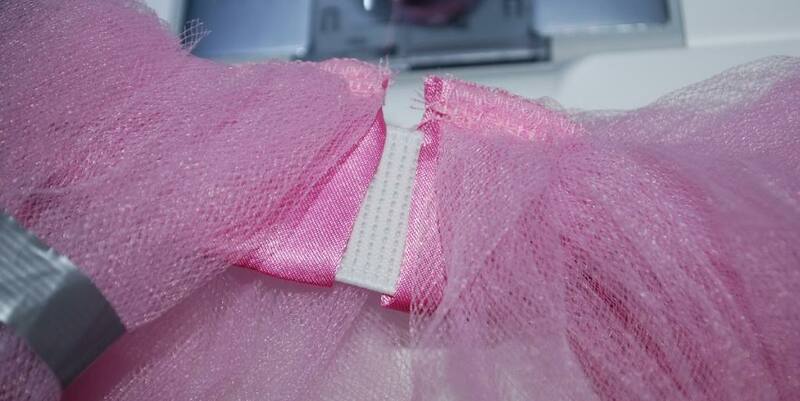 It is important to not make this ruffled strip any longer than your ironing board. 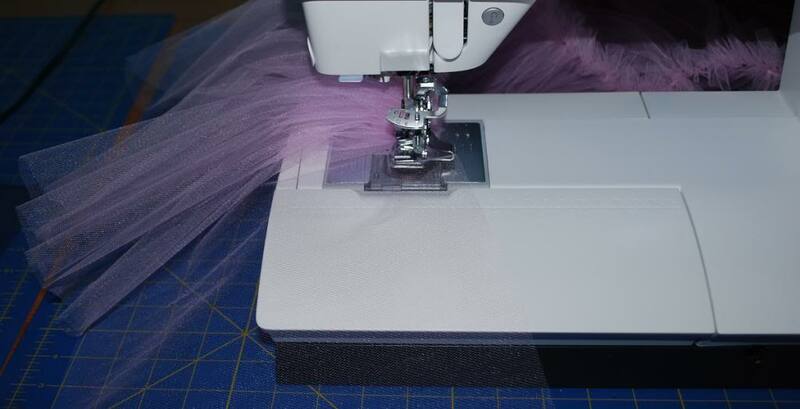 It’s just too much hassle when it’s hanging off the edge and you have to keep moving it around. 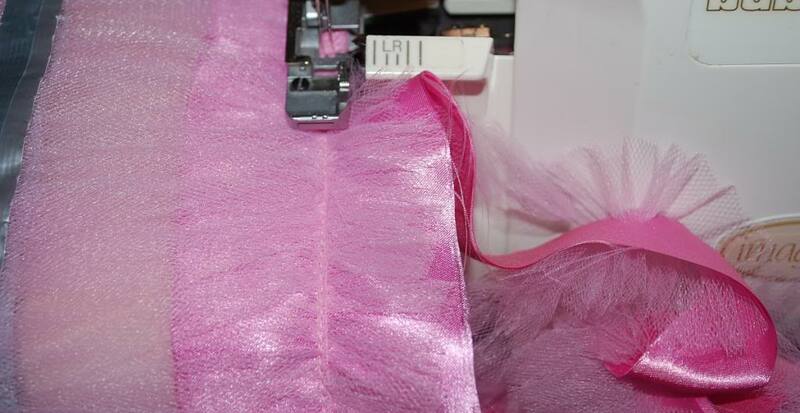 …and attach the second ruffle using the same method, CAREFULLY lining up the stitching lines. 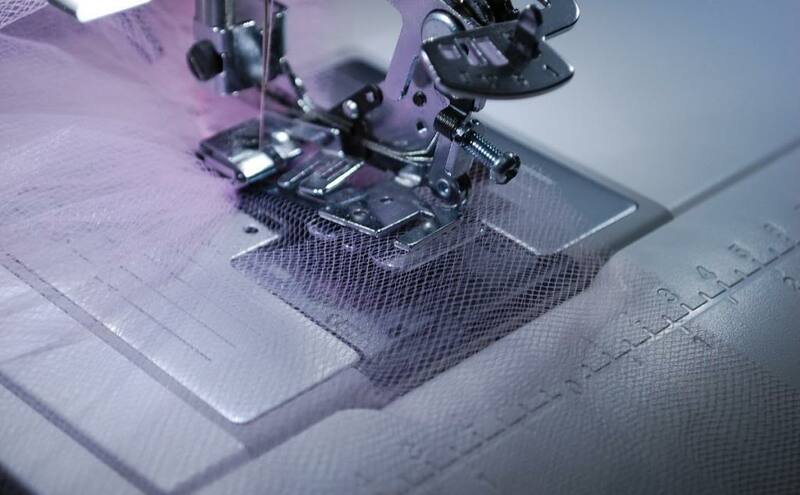 All three stitching lines should be practically on top of each other. 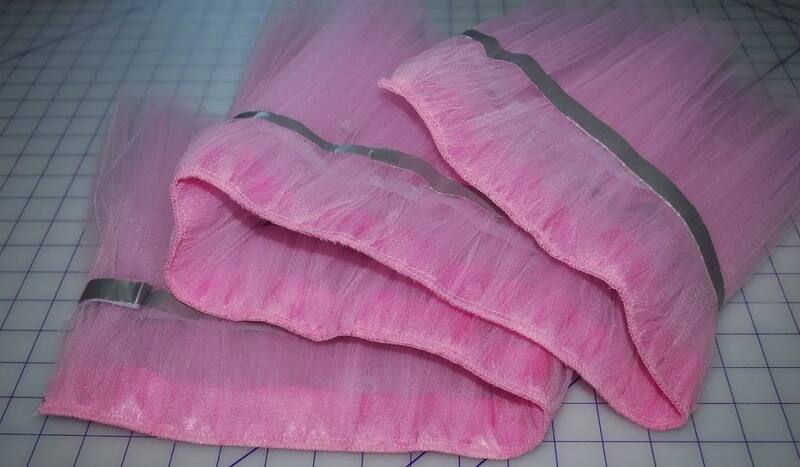 Look at all those raw edges. Let’s get rid of them! …and there you have it. 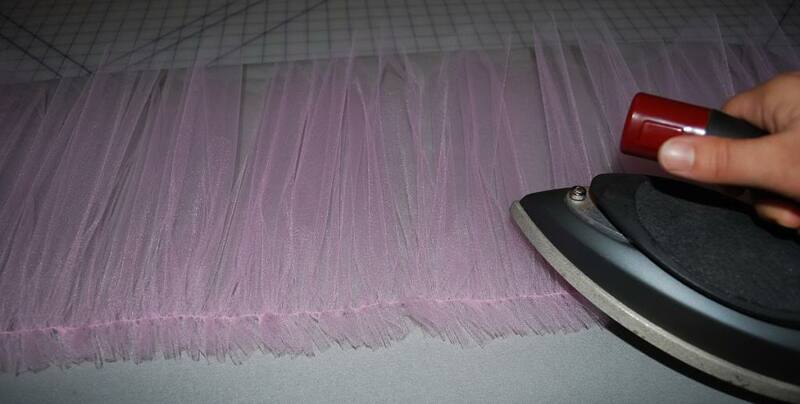 It’s easy to make these in an “assembly line” fashion if you are selling them or making them for a party or something. I know it seems like a lot to do, but really it’s not– each step takes less than a few minutes each. 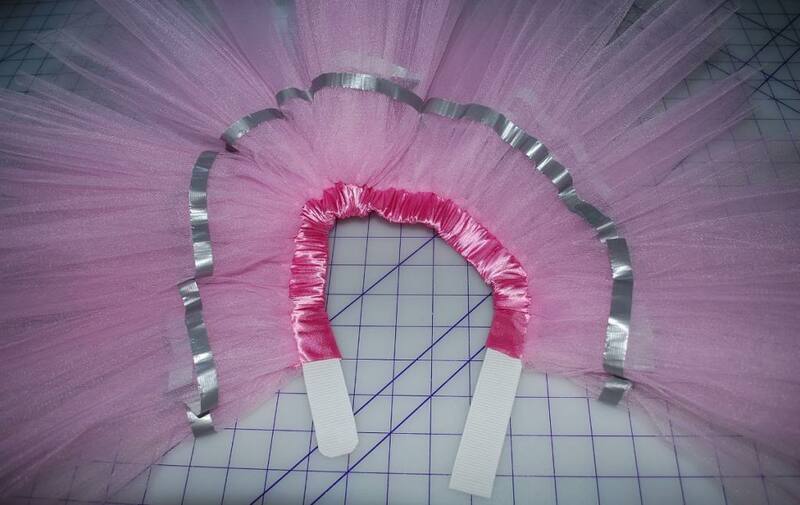 I hope you make beautiful tutus! 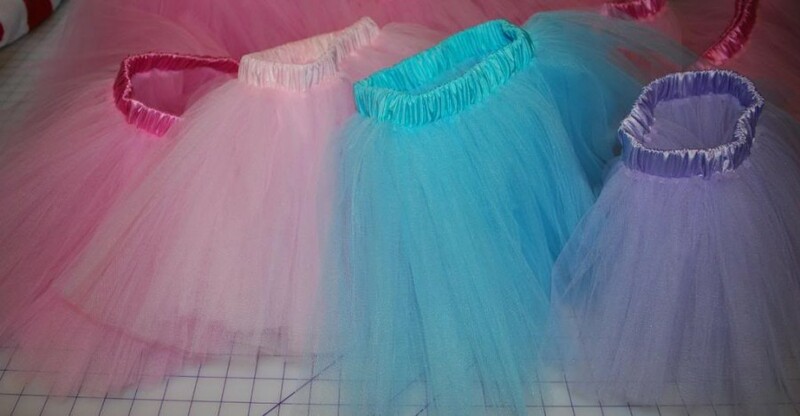 What a great way to make a tutu. 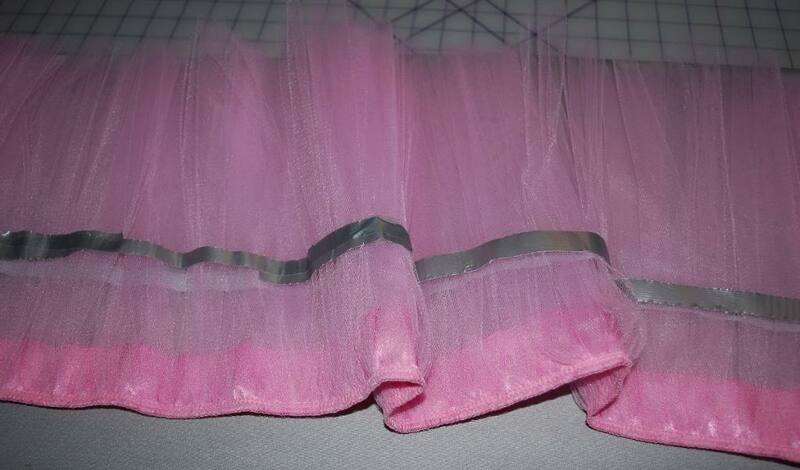 I totally recognize your comment about finding a good way of making a tutu on internet; I spent hours of searching but… there is nothing to find! ….. Until I found your blog. Unfortunately to late for me…. 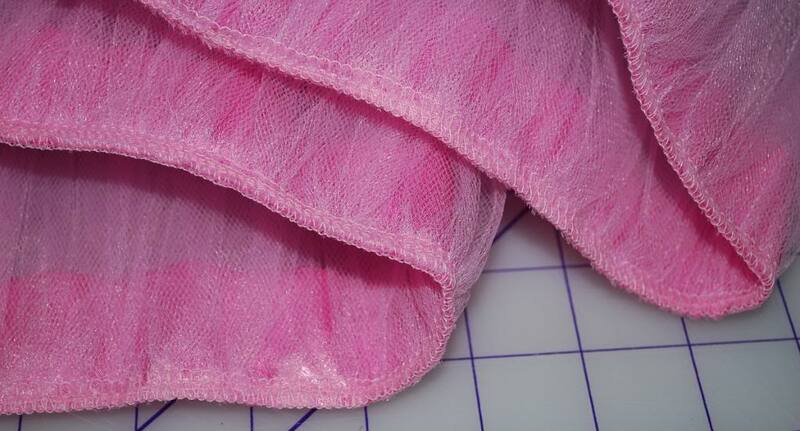 When I was looking for a patern for a tutu for my 7 year old daughters dance performance (it had to be a frogs costume tutu :-). I only found the knotted stripes tutu’s! 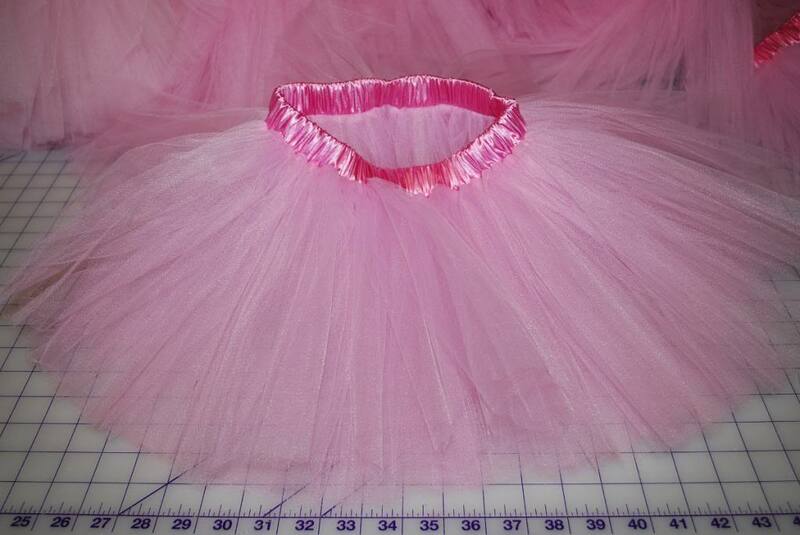 In the beginning these tutuś look nice and full, but making one step in it (let alone an hour of performance) makes it a total mess. 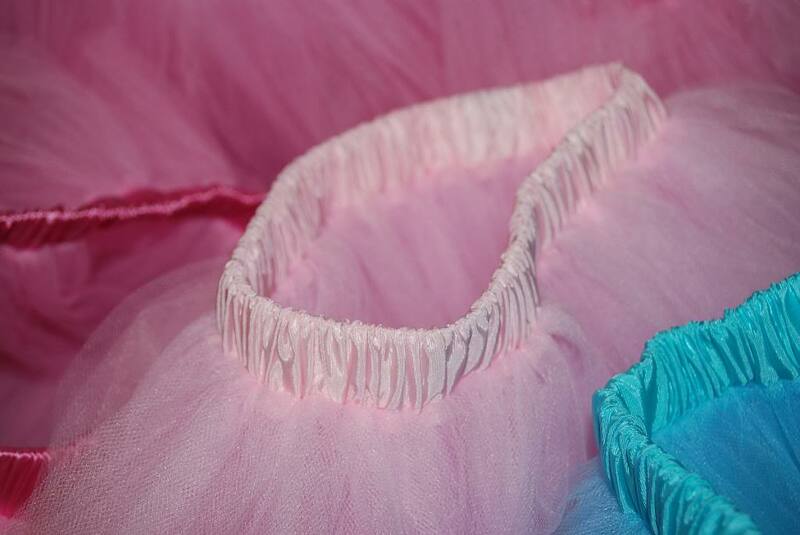 So I puzzled myself and in the end managed to make nice, sewed green with white flower tutus in the end. 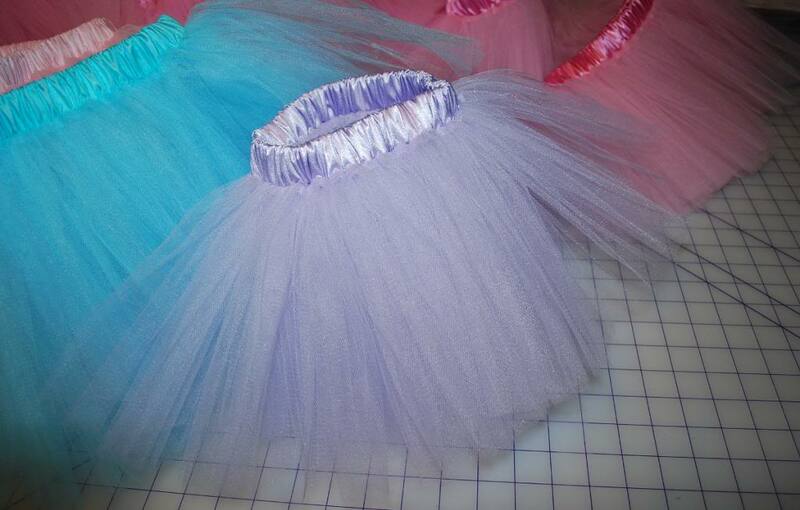 All the girls, and ballet teacher were very happy. But I must say, having read your description now (so elaborate and well explaned!! 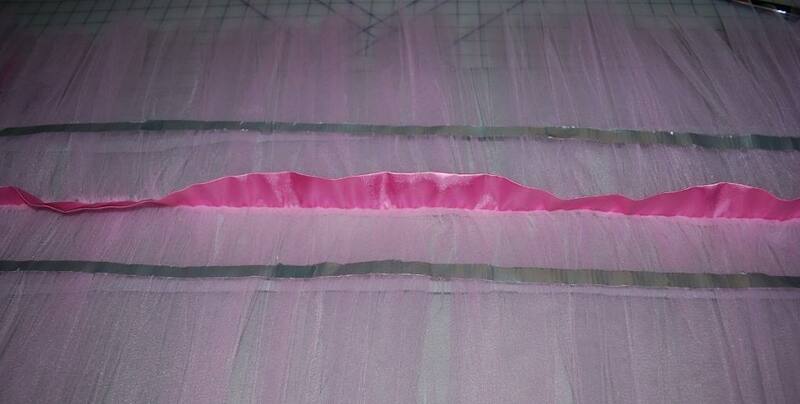 ), I wish I found it sooner…. 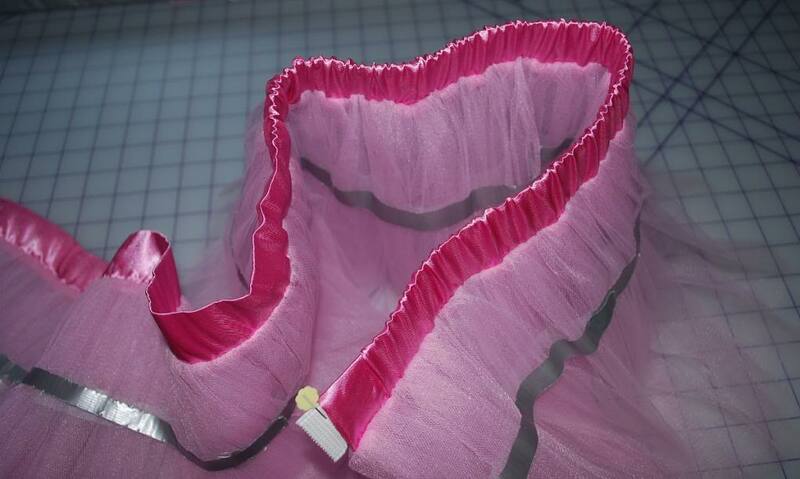 your way of sewing a tutu, with the elastic waistband seems much prettier. Next time I will follow your tutorial for sure. 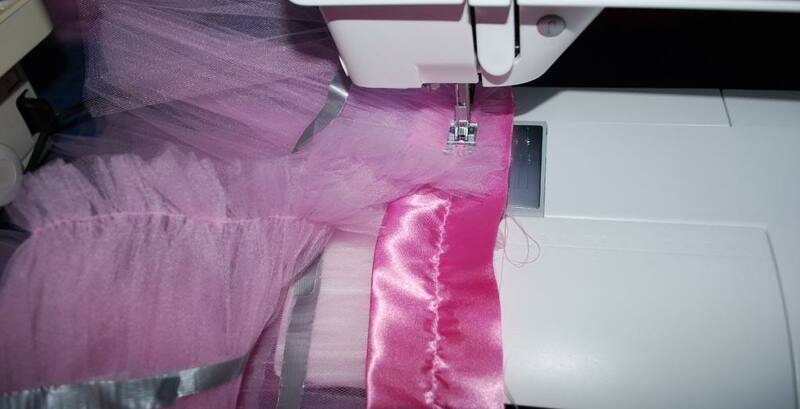 I would also love to learn to make “the real thing”…. 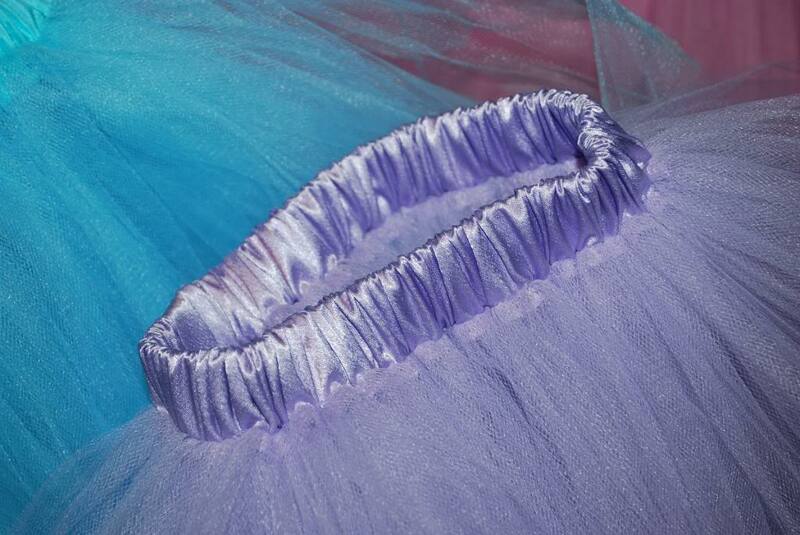 a real ballet dancers tutu. Do you happen to know about tutorials for these? 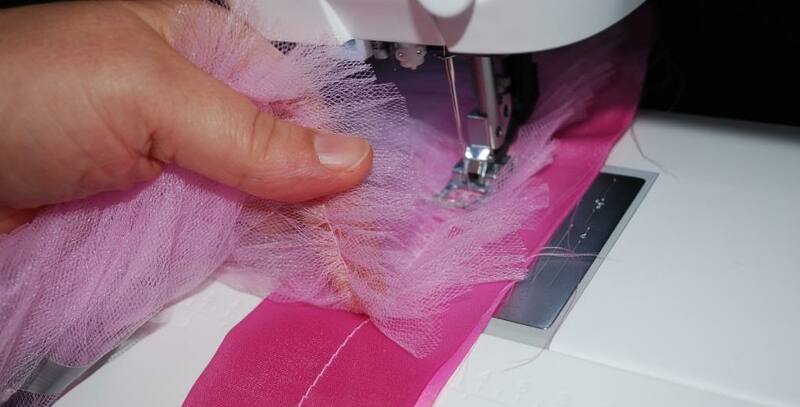 HAve You ever made one? Good luck with your lovely business, your website and all the things you make. 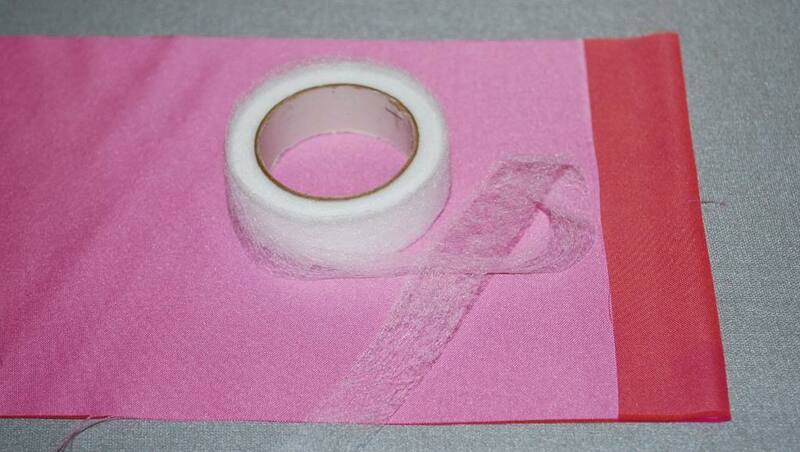 I find it really impressive and inspiring, and I will follow you on facebook! 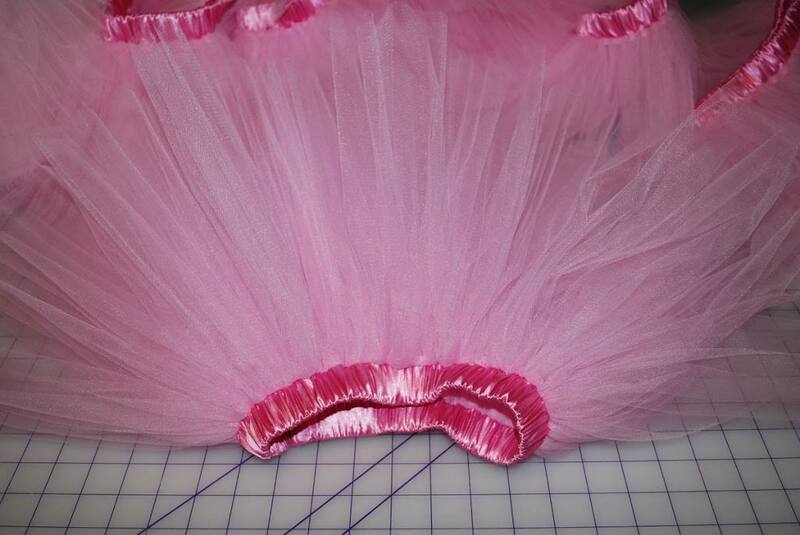 I do not know how to make a real tutu, but here is something from the Oregon Ballet Company (in my town!) that shoes all the work that is done. Thanks again and I hope you have a great day! Still the best way to make tu-tu’s!!! 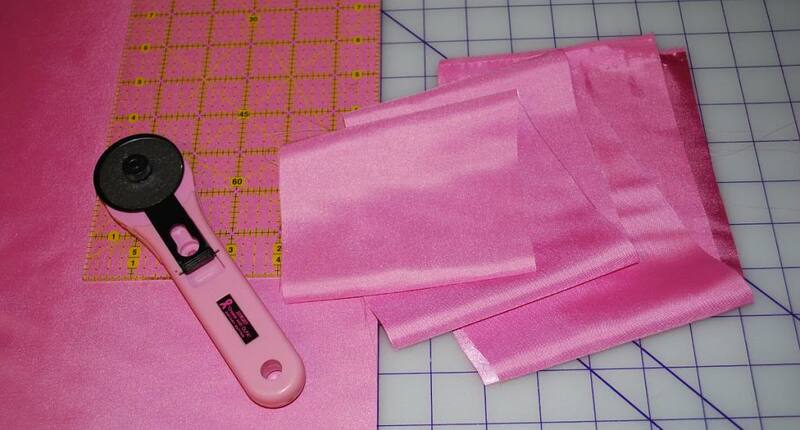 This is the only tutorial I will ever follow for making them!! Thank you for taking the time to share a truly easy way of making these. You are so very welcome! I’m happy my post is of use to you! Thank you so much!